Ok I know it's Wednesday! But shhh they might not notice! I wanted to get some hints and tips on to here about applique. Learning how to machine applique was one of my most popular classes when I was teaching. The term applique simply describes the bonding of one fabric to another to form some sort of picture. For it to be effective you will need to use some sort of fusible web. Bondaweb is a common brand in the UK, but there are many brands out there. Some are cut in A4 or Letter size sheet so you can run them through your printer. Some are repositionable for a time. If you are using Bondaweb you can see and feel the glue on one side. 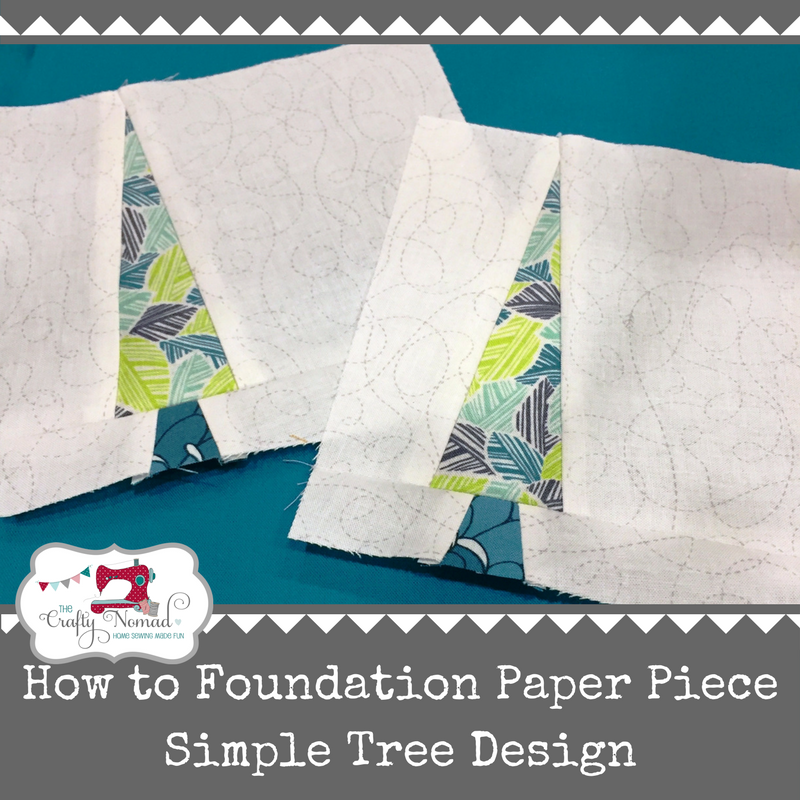 You will want to draw or trace your shape onto the non-glue side. Take care to trace the reverse of the image you actually want on your finished project, this is really important if you are tracing letters! Do NOT cut on the lines at this stage, cut about a quarter inch / half a centimetre around the outside of your line. You'll have to trace all the bits separately, notice the birds wing is separate to the body. Then iron them in place on the wrong side of the fabric you want to use for the shapes. Follow the instructions for the brand you are using. Normally though they say to make sure the steam function is switched off on the iron and press in place for about 5 seconds. No more or you could burn the fabric. Now carefully cut on the lines and cut your pieces out. Use a pin to score the paper part of the bondaweb, this makes it easier to take off without damaging the edges. You'll notice that the glue is left behind on the wrong side of the fabric when you peel the paper off. It doesn't feel sticky, but you can see it. If you find that the glue starts to peel off with the paper, then you need to lay the paper back down and re-apply the iron. You might want to protect your ironing board and/or iron from the glue! Once the paper is off you need to position your pieces onto the background fabric and iron it in place. Again follow the instructions for your brand. Normally just press with iron for ten seconds. Now it's time to stitch them in place. Stitching them down gives a more secure finish, especially for items that are going to be washed. But it also adds the character and detail. I used to teach three main machine stitches, but really you could use any stitch you like. By far the easiest is using a straight stitch. You can use this in two ways: neat or messy. For the straight neat stitch you will want to aim to consistently follow the outline of the shape between ⅛ and1⁄16inch from the edge on the applique. If your machine has a locking stitch button then use this. If not then just pull the threads manually through to the back and tie in a knot. Do NOT do reverse stitching as it looks unsightly. Don't be tempted to start at a corner! Most people do, but actually you'll get a much better finish if you start on a straight-ish edge instead of at a corner, as it is far easier to match up along a straight edge than at a corner. When you reach a corner, stop a few stitches before the corner, manually crank the stitches through with the hand wheel and stop at the point you want to pivot around with the needle in the fabric, lift the presser foot and turn the fabric. Put the presser foot back down and continue stitching. Reduce the stitch length if stitching curves or small pieces. If you want to try the messy stitch to get the 'sketch' look, then you start off doing the neat straight stitch as above but you don't need to be so precise with it. When you reach the place where you started, you stitch a second line kind aiming for the first one but just missing, it's like you are stitching a wavy line over the first one. A contrasting thread colour works well for the sketch look. You need to use a Satin Stitch foot for this stitch. The satin stitch foot has a groove on the underneath of it that allows a chunkier stitch to glide right through. Plus they are normally perspex so you can see your stitches more clearly. They vary between machines so practice to see how the stitch is formed. This is particularly important to know for navigating corners and curves. It's important to know where your needle will go next so that you don't stitch backwards into the background fabric at a corner. You are aiming for the right hand part of the stitch (i.e. the line) to fall onto the background fabric and the left hand part of the stitch to fall on the appliquéd shape. This stitch has locking stitches at the beginning and the end. The beginning is automatic, at the end you have to press a button. For this stitch you use a zig zag stitch and reduce the length so it is very close together. Length equal to 0.2-0.4. You must use a Satin Stitch foot with this stitch, if you don't then the bulk of the thread will cause the foot to get stuck, resulting in a big mess of thread. Ideally you would use the same colour thread as the fabric behind so that any gaps in thread aren't unsightly. On an electronic machine this stitch has locking stitches at the beginning and the end. The beginning is automatic, at the end you have to press a button. Just pull the thread through to the back on a mechanical machine and manually tie a knot. If opting for this stitch it can be advisable to stabilise the fabric to avoid getting puckers. You can use tearaway stabiliser on the back or if you haven't got any of that you could use interfacing.